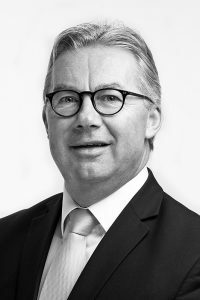 Kjell I Johnsen is the new Manager of Norway for Birn+Partners and a recruiting executive for Norwegian and international clients within most industries, with an emphasis within energy, oil & gas – industrial & entrepreneural – consumer goods & retail – professional services. Kjell also provides coaching and career transition support for individual executives, and managers in need of developing career path or focus. Kjell has been a partner and consultant in the HR and executive search community for more than 8 years. He has many years of international management and leadership experience, especially within the oil and gas sector. Kjell has held several senior executive positions for major multinational corporations such as The Shell Group of Companies, Exxon and Honeywell. He also has experience from The Royal Norwegian Defence organisation. Kjell has been on the board of several Shell subsidiaries. Kjell holds a Master degree in Engineering with operations research from University of Sussex in England. Birn+Partners are +20 consultants in 8 countries with focus on Headhunting, Onboarding and Career Advisory.